Ultraman Leo, Ultraman Mebius and Ultraman Max on CR is something of a revelation for Ultraman fans who had to rely on fansubs of all three for years. The fact that this is all done with the consent of Tsuburaya Productions itself is even better, showing proof that they are always willing to cross the Pacific given the opportunity. Thank you so much Tsuburaya and Crunchyroll for giving us this gift. I, for one, am excited to see what else comes my way. 24 years...24! I've been waiting 24 years for subtitles to this amazing sci-fi show. I can die happy now. Thanks CR! Now we need Mirrorman and Fireman next, please. Also, Megaloman and Ultraman 80 and...hmm, I think i'll not push my luck lol. Excellent show! Having watched the original Ultraman series on syndicated UHF television as a kid back in the 70's, nothing makes me happier than watching a hero beat up rubber monsters. Dubbed or subbed tokusatsu is hard to find, with only a handful of fan subbed episodes in circulation, so Crunchyroll offering these series is like a dream come true. Ultraman Leo, in particular, is one of the rarer Ultra series and I've always wanted to see it with English subs. Thank you, Crunchyroll, for keeping toku alive and making an old man happy! Fantastic! Ultraman Leo remastered and subtitled! Over the years I've seen Ultraman Leo fansubbed and Japanese audio with no subs. While I understand some of the language seeing these official subbed episodes makes me very happy. The main problem with this show was that back in the day, the budget was not as great as it was for previous Ultra series and at times the special FX tend to reflect that. However an interesting strength about the show is that they injected a sense of realism in that you CANNOT defend the Earth from aliens and monsters without suffering both civilian casualties and casualties amongst the ranks of the defenders. Also Leo is unique in that he is an Ultra that prefers martial arts to defeat monsters but later was using beam attacks as that is tradition for an Ultra. Check out this great series from the Showa era! here's hoping that crunchyroll will soon have Return of Ultraman (starring New Ultraman aka Ultraman Jack), Ultraman Ace and Ultraman Taro. 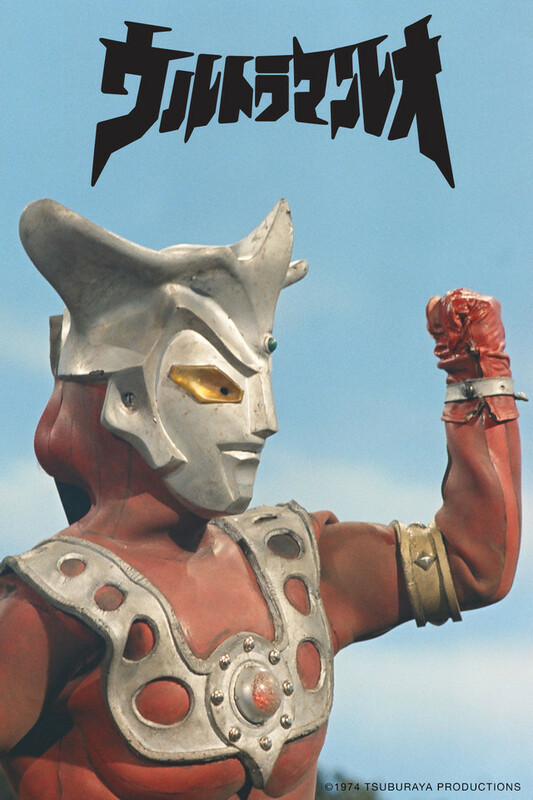 Do you enjoy watching Ultraseven? Is Seven your favorite Ultra Brother? Think Dan is a totally radical man? If so, this is the series for you. Behold, as your favorite hero Seven is now getting his leg horrifically twisted in a 1:4 battle! As you crawl into a corner and cry, Seven is now dead- oh wait, he's saved by a new guy in town. His name is Leo and he tries to be awesome, with emphasis on tries because he is a total weakling. Realizing the Earth is now doomed with a noob and he is unable to transform back into Seven, Dan becomes a jerk and starts training Gen Ootori to be better at his duty of being Leo the only way a jerk knows how; by beating him on a daily basis with a cane like that cranky old man at Walmart upset there's no prune juice to be found. Thus starts a tale of manliness, a legendary benchmark upon the histories of 70's Japan. A tale more radical than Ultraman Taro, which it proves as people start getting killed off relentlessly, the body count far surpassing anything the franchise has ever seen. I had to wait 40 years for this! I grew up on english dubbed orig. Ultraman and few scraps of Ultra 7. Long have I wanted to see the other shows (in orig japanese subbed of course) and Leo didn't disappoint. This one has become my favorite of the Ultras I've now seen (Ultra Q, Ultraman, Ultra 7, Ultraman 80 & Ultraman Mebius). It's darker nature, re-telling of Japanese classics, and flat out trippy episodes make it's low budget 'attack of the toys' the most endearing 25 min since Urusei Yatsura. And in it's proper Japanese w/eng sub as well. Now I can die happy. Keep those showa era classics coming. Props to Crunchyroll for the two Godzillas subbed. Please, don't stop now! One of the first Japanese deconstructions..
Nowadays, deconstructions are fairly popular. Many anime, from Evangelion to Madoka have taken this trope. Leo is one of the originals. It deconstructs the toku/transforming hero genre as a whole, before deconstructing was cool. The biggest drawback is the poor budget, which shows very often. Despite that, the show gives a very realistic vibe. You will cry. I wholly suggest this series! It does have drawbacks but overall is an amazing and heart rending experience. It was bold on the part of Tsuburaya to attempt a series like Leo, a deliberate about-face from the light, colorful kiddie fare of Taro. Today, tortured heroes are all the rage. But Leo was one of the first of his kind, a lonely warrior tormented by guilt, grief, and an underlying fear that he isn't up to the task of saving Earth. Grim, gory, and genuinely gripping, Ultraman Leo remains one of the most unusual and unforgettable of all Kyodai hero shows. When I saw this on on YouTube, I found out it was Cantonese. I was not happy. It didn't fit with the show. That's what I have against dubs other than the fact I know nothing of Chinese, even though Ultraman Taro does have his own English dub series. All we need now for the Ultraman series that's got his Cantonese is Dyna. I recently watched all of Ultraman and Ultra Seven for the first time, and while I overall enjoyed them and could see how they're such highly regarded classics, I don't think they've aged well. They were frequently very repetitive and tedious to sit through, and any attempts to be more serious usually didn't work very well. Ultraman Leo, on the other hand, was fun from start to finish. It's not nearly as dark or violent as people make it out to be (save for a few special episodes), and was mostly just a really fun and goofy watch. Compared to Ultraman and Ultra Seven which I took months (or years in the case of Ultraman) to get through due to their pace, I burned through all of Leo in about a week I was enjoying it so much. I was also surprised by how much continuity there was at certain points, and the inclusion of Moroboshi Dan, the protagonist of Ultra Seven, as a recurring major character alongside Ootori Gen really made the series feel unique compared to what else I've watched.